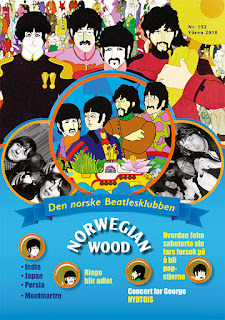 The Daily Beatle: Swedish EP inspired Pepper? The Beatles: Sgt. Pepper's Lonely Hearts Club Band. 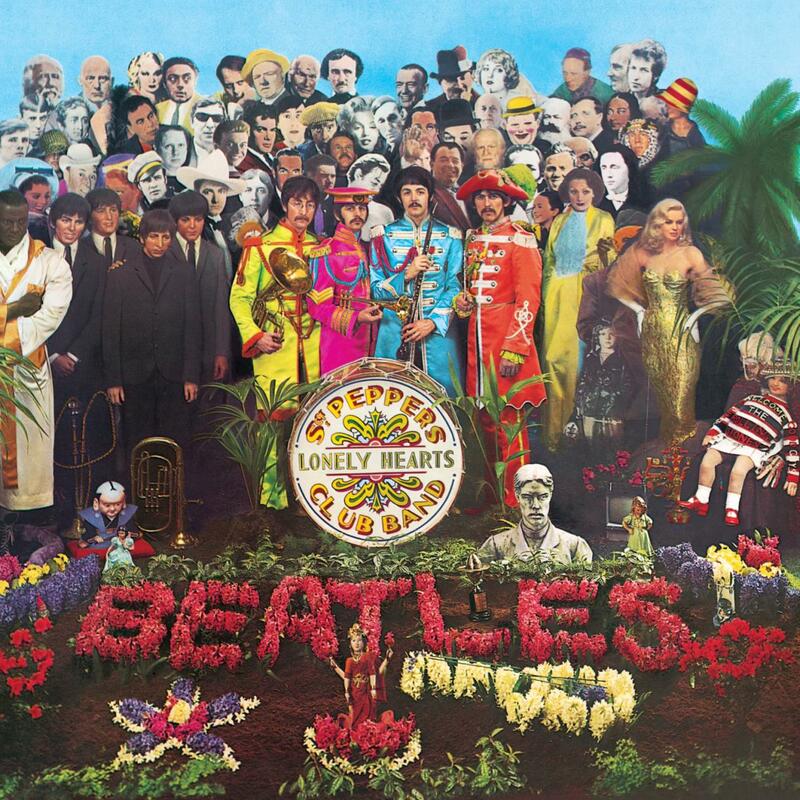 Was the famous cover photo of The Beatles' "Sgt Pepper's Lonely Hearts Club Band" inspired by a Swedish EP-cover? 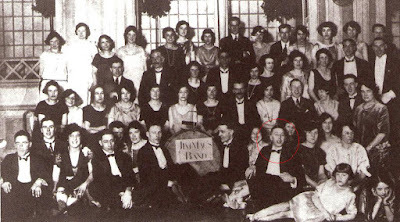 Swedish record store owner Jörgen Johansson developed this theory when he came across an EP from 1964 with the student band Mercblecket, by a group from the Stockholm School of Economics. 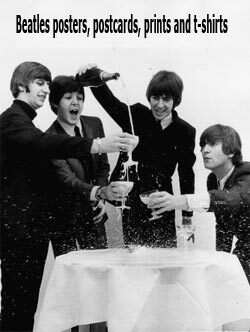 The EP contains parodies of four Beatles songs. 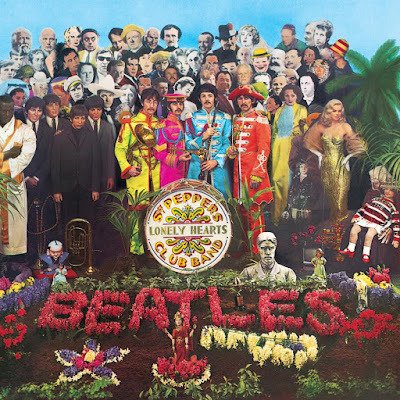 Just like on the Sgt-Pepper albumet, the cover photo depicts members of the band grouped around a bass drum, holding similar instruments as in The Beatles' photo. In the spring of 1963, Mercblecket acquired a large number of operatic fancy dress jackets, dolmans, from the Oscars Theatre. They are wearing these uniforms on the cover photo. What further lends credibility to the theory, is Paul had the record. Mercblecket showed up at the airport to entertain The Beatles as they arrived in Stockholm in late July 1964 to give concerts at the Johanneshovs Isstadion, and a representative of Mercblecket, English exchange student Roger Wallis handed Paul McCartney a copy of the EP. In the news film below, the uniformed Roger Wallis walks up to McCartney on his way out of the plane at Arlanda airport, around the 27 second mark. After this, Mercblecket starts to play"I Want to Hold Your Hand", and McCartney joins in on the fun, pretending to conduct the band. There's even an interview in existence, from the hotel at Lidingö, where they resided, and they are listening to the EP, with McCartney commenting: "I really like this one, they really got the beat. It’s really great!" Earlier theories around the inspiration for the album cover of "Sgt. Pepper" have brought forth this photo of Jim Mac's band, the jazz band of McCartney's father, Jim. So if you're a die hard record collector, here's an EP to hunt for! Roger Wallis, Mercblecket's conductor and arranger at the time, had made five or six arrangements of the most famous Beatles songs, four of which ended up on the EP: "I Want To Hold Your Hand", "This Boy", "All My Loving" and "I Saw Her Standing There" - with new lyrics. 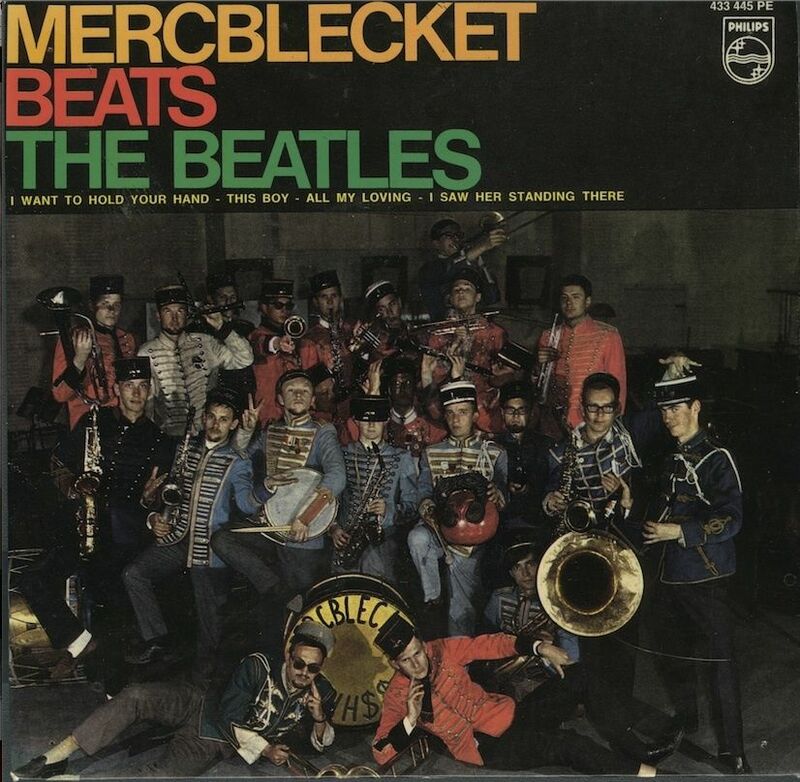 After having met The Beatles and given them their EP, Mercblecket made "A Hard Day's Night" their signature melody for years to come. Listen to Mercblecket's rendition of All My Loving. I think that this is a really interesting story, and I have come across it somewhere before. The fact that Paul had a copy of this record is strong evidence. But what was Peter Blake's input? If he didn't come up with the idea it's hard to know why he was commissioned. We know he has been disgruntled about the small £200 fee (I suspect the Beatles refused to renegotiate for fear that everyone they ever dealt with would produce new claims); but if he didn't come up with the design then he wasn't really employed as an artist / designer. Does anyone know he Blake has claimed to have thought of the cover design? Extract from Wikipedia's entry for Sgt Pepper "Sgt. 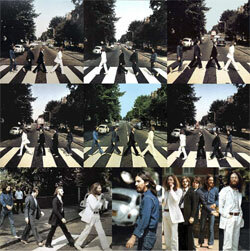 Pepper's album cover was designed by the pop artists Peter Blake and Jann Haworth from an ink drawing by McCartney. It was art-directed by Robert Fraser and photographed by Michael Cooper." Thanks. I must have the details in some of my books but felt a bit lazy. So if Macca did come up with the original idea he might well have based on this record. 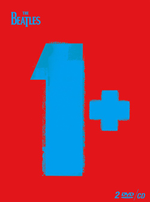 The Beatles, Paul McCartney and The Grand Illusion (Dec 2018) https://www.youtube.com/watch?v=235zPNZ1sgI Mike Williams steps through the Masonic machinery behind the creation of the Beatles and the replacement of Paul McCartney; including the theory of two permanent replacements. Do you remember the case of Eleanor Rigby? Shea Stadium film in trouble?